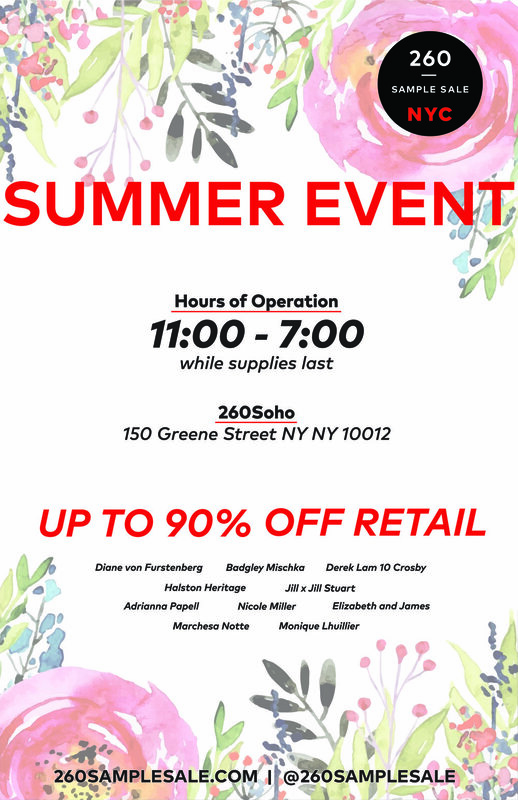 260 Sample Sale will be hosting their Summer Event for the month of July at the 150 Greene Street, Soho location! We will be featuring apparel from brands like Elizabeth & James, Adrianna Papell, Monique Lhuillier, Badgley Mischka and more! W/R ain to Prince St.